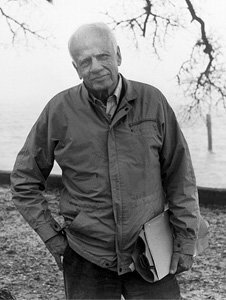 Today is the twentieth anniversary of Walker Percys death. He died at home in Covington, Louisiana on May 10, 1990 following a two-year bout with prostate cancer. He left us six novels and two works of nonfiction, as well as numerous essays, some of which were later collected in the posthumous Signposts in a Strange Land . Along with Flannery OConnor, he is often considered one of the leading Catholic writers of the South in the twentieth century. His work”from the National Book Award winning The Moviegoer to the fast-paced The Thanatos Syndrome ”captures the malaise and potential absurdity and horror of a post-Christian America with compassionate aplomb. Yet, while interest in OConnor continues to grow, interest in Percy has plateaued somewhat. There is, of course, the new Walker Percy Center at Loyola University in New Orleans, and, hopefully, the soon to be completed film by Win Riley, but according to these and other measures”works of criticism, biographies, and collected works”the day clearly belongs to OConnor. Percy brooded over the labels Catholic and Southern, aware of the fact that both, particularly the former, could be used to dismiss his work as another manifestation of what he pejoratively called the triumphant Christendom of the Sunbelt. Terrence Rafferty did write a somewhat overheated, though not entirely wrong-headed, review of The Thanatos Syndrome , which he tagged [e]schatology made simple, but this rarely happened. While his Roman Catholicism is perhaps more essential to his work than it is to OConnors, it seems unlikely that interest in Percy is less than interest in OConnor because of this. No, it seems to me”and it pains me to say this because I am an ardent Percy fan”that interest in OConnor outstrips interest in Percy because she is simply the better fiction writer. She is a purist and he is a hodgepodge of novelist, essayist, philosopher, and man of science. Or, to put it another way, he is the Samuel Taylor Coleridge to her William Wordsworth. The fact is, when it comes to plot and character”the touchstones of fiction writing”OConnor excels where Percy sometimes struggles. While it is easier to structure a short story than a novel, OConnors stories are nevertheless carefully wound for effect and efficiency of movement, even if they are somewhat limited as far as subject matter is concerned. Percys plots, however, can sometimes stall and are occasionally tarnished by errors of chronology and coherence, particularly in Thanatos, which is far from his strongest work. But the biggest difference between the two authors is their characterization. OConnors range and nuance surpasses even that of Faulkner. From the childlike and, at the same time, grotesque brutality of Hulgas secular atheism in Good Country People to the tragic innocence of Bevel in The River and the simplistic morality of the grandmother in A Good Man Is Hard to Find, OConnors characters shimmer with vitality and complexity. In his novels, Percy focuses primarily on the protagonist, who often tends to be a version of Percy at the time of the novels composition. In The Moviegoer it is the adrift thirty-something, Binx Billing, and in Love in the Ruins and The Thanatos Syndrome < it is the middle-aged, then older, Tom More. Minor characters are rarely developed, some dropped unexpectedly. How it is possible for the man who designed Voyager 19, which arrived at Titania, a satellite of Uranus, three seconds off schedule and a hundred yards off course after a flight of six years, to be one of the most screwed-up creatures in California”or the Cosmos. His response, of course, is that we do not know who we are because we have rejected our sole point of reference: God. It is clear from Percys gently prodding wit and humor that he had fun writing this book and that the genre suits him. It highlights his great strengths as a writer”his humor, philosophical insights, and prophetic voice. If O’Connor has excelled in the stuff of fiction writing, Percy has done so in the stuff of nonfiction, even if the material is sometimes presented through the medium of fiction. We will read Percy for many years to come, and rightly so. I, for one, recommend him to anyone I can. Unlike the intellectual impotence found in so many contemporary novelists, Percy takes risks in his work. He asks and answers important questions, which, despite its other flaws, gives his work a sharpness and vigor. However, like Coleridge with respect to poetry, I think Percy will ultimately be remembered for his ideas rather than for the execution of those ideas in his novels. He will not be remembered for the plots or the characters he gave us, but for his diagnosis of the modern malaise, presented in those plots and those characters, and expounded in his works of nonfiction. If OConnor is the better fiction writer, he is the great thinker, satirist, and apologist, and it is for his unflinching assessment of the essential emptiness of modern secular life that he deserves to be read. Micah Mattix is an assistant professor of English at Louisiana College and author of the forthcoming book, Frank O’Hara and the Poetics of Saying ‘I’ (Fairleigh Dickinson University Press) .